Story Surprise - Book Subscription Service - Get Free Books! If your children love to read, check out this fabulous new book subscription service for kids of all ages! 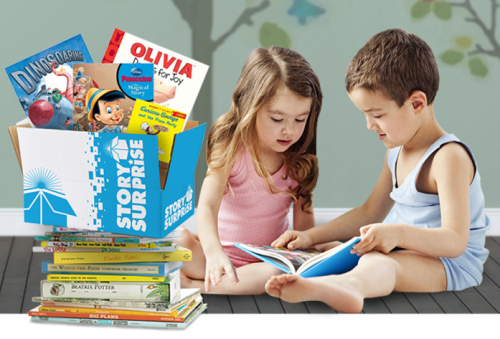 Story Surprise ships an age-appropriate, hardcover, children's book addressed to your child every month. Each book is valued between $15 and $20, but with your new subscription, you'll pay just $5.70-$6.99 per month with free shipping. By providing books at such a low cost, Story Surprise aims to support children's literacy, bring back story time, and foster a love of reading. They also work closely with organizations like Boys and Girls Clubs to provide free libraries to schools in need, and with hospitals to provide books to children in care. Read on to find out how you can get a FREE three-month Story Surprise subscription for your child, with no strings attached! Children love to get mail and they love getting their hands on new books. As an early childhood teacher for over 20 years, I know how expensive it can be to provide quality books for kids, but Story Surprise is incredibly affordable so you can afford new books for your kids, no matter your budget. Books help young children learn language skills, reading skills, and foster emotional skills. Books for older children help them develop their creativity and imagination, as well as provide a healthy escape from day to day issues. The idea for Story Surprise was inspired while the founder and his wife were spending time in the hospital with their young daughter. 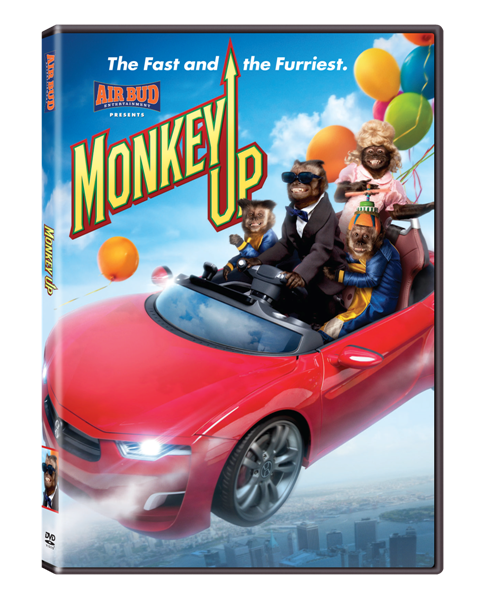 As they looked around at the other families in the hospital, they realized the only activity available to pass the time was watching television. They began handing out new books at the hospital to help distract the children in a more positive way. The children were also able to fall asleep more easily when their parents read to them. Having been in the book business their entire lives, the founders decided Story Surprise would have community benefits built into the company's mission. 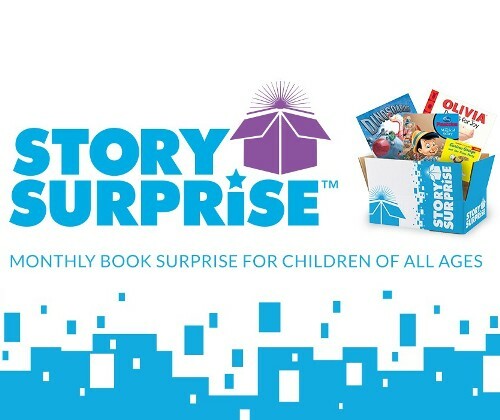 Every time you purchase your child a book through Story Surprise, you're not just providing your child with a wonderful new adventure, you're also helping comfort a child in the hospital or you're providing books to our youngest American citizens. I think it's a wonderful way to support literacy in our country! Ready to get your FREE three-month subscription? Simply visit the website HERE to sign up your child for Story Surprise! Just enter the child's age, choose a Story Surprise plan, and use this special offer code PLANET3 to get three months of service at no cost. This generous offer is available to my US readers only and is available while supplies last, so sign up today! *Only one offer per family, cannot be combined with any other offer, promotion may be withdrawn at any time. I once heard that the fruit and vegetable drawers in the refrigerator was the place where good intentions go to die. I am guilty of buying too much produce at once and then having to throw it away and it really bothers me to toss out our food. I was very excited to try the Debbie Meyer GreenBoxes™ 32-piece set to see if these storage boxes really do help extend the freshness of vegetables and fruits. Debbie Meyer GreenBoxes are BPA-free and are made with a proprietary combination of all-natural minerals. They have been tested in an independent lab and shown to extend the life of fresh produce as well as baked goods. These GreenBoxes are more flexible than hard-sided storage containers, but are thicker and sturdier than the store-brand plastic containers I usually buy at my grocery store. GreenBoxes are also microwave safe and can be washed on the top rack of the dishwasher. They can also be used indefinitely. My set came with three sizes of boxes, with lids for each. After my weekly trip to the grocery store, I transferred all my fresh fruits and vegetables from the flimsy plastic produce bags into the GreenBoxes and stacked them neatly in my refrigerator. Not only are they more organized, I can better see what I bought, and the GreenBoxes actually look pretty against the white interior of the refrigerator. A week later, even two weeks later, the fruits and vegetables we hadn't eaten yet were still as fresh as the day I brought them home! I also received the Debbie Meyer GreenBags® 20-piece set. They are made for larger produce items, such as melons, broccoli, and bananas, or for larger amounts of food, like a bag of apples, oranges, or potatoes. My variety package of GreenBags contained medium, large, and extra large bags. Both the GreenBoxes and GreenBags can be used in the refrigerator or the pantry. Debbie Meyer products are also made in the USA! The GreenBags are flat on the bottom, which makes the bags stand up so they are easier to fill. Each bag can be used up to 10 times. Again, I found that my produce lasted longer in the GreenBags. I even left one apple in a bag for three weeks just to see if it would go bad, but it didn't! I am so happy that I won't be wasting food anymore and I'll be saving money because now I won't have to replace wasted food with fresh food. Debbie Meyer also has other products that are going to be a huge help to me in the kitchen. I received a package of Oven Bags for roasting meat, fish, and vegetables (without added oils) in the oven and Grilling Bags which works on both the barbecue grill and in the oven. They really lock in the flavor and, best of all, I don't have to clean the appliances afterwards! Debbie Meyer SlowCooker liners are my new best friend, because I hate cleaning that big clunky crock after food has cooked all day. I am also very pleased with the Debbie Meyer Microwave Steamer Bags, since steamed veggies are so much healthier than boiled or fried veggies. I've also noticed that cooking with the Debbie Meyer products makes the food taste more flavorful. I absolutely recommend Debbie Meyer products! You can buy Debbie Meyer GreenBoxes, GreenBags, and these other products at lots of stores, but make sure you're getting The Original Debbie Meyer brand! It is the only brand I've ever used that actually extends the life of my food. You love your pet! 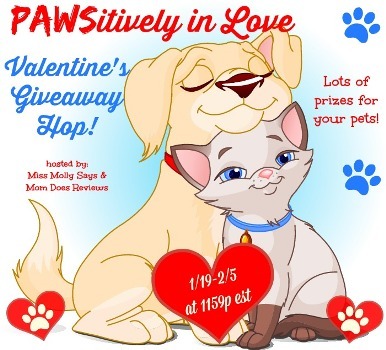 Valentine's Day is the PURRfect time to get your pet something special. I've teamed up with some fabulous bloggers to offer you suggestions on great gift ideas for your pet. 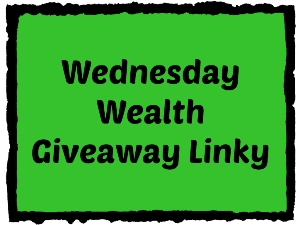 After you enter my giveaway, be sure to visit all the other blogs listed below and enter to win their giveaways too! Solvit Deluxe Telescoping Pet Ramp! My dog Buddy is almost 16 years old and weighs 85 pounds. His old legs just don't work the way they used to, and although we've been helping him into the car for the past several years, our old backs don't work they way they used to either. The Deluxe Telescoping Pet Ramp is going to make our lives so much easier! Buddy is a great car rider, but he hates getting into the car. This ramp is super sturdy and durable, with textured pads so his feet don't slide. On the bottom are four rubber feet to secure the ramp to the ground and the edge of the car. It's lightweight so it's easy to carry and has a handle on the side to make it easy to manage. It easily fits into the trunk of the car so we can take it with us wherever we go. It is a telescoping ramp and the two pieces slide apart to extend the ramp. It even works with our truck which sits higher than the car. The Deluxe Telescoping Ramp isn't just for the car! It also works to help pets easily get up on couches, beds, vet tables, grooming tables, and more. 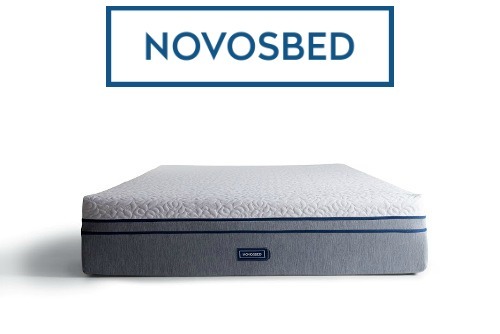 It holds up to 400 pounds without bending, but only weighs 13 pounds. It's an excellent product that makes our life easier! Solvit has a great selection of pet ramps, seat covers, cargo liners, harnesses, booster seats, and barriers to make car trips more safe and comfortable for pets. They also offer many other amazing pet products for around the house, like stairs, pet kennels, furniture protectors, cat playscapes, and much more! Visit www.solvitproducts.com to find amazing products for your pet! You can also follow them on Facebook, Twitter, and Pinterest to be first to hear about new items. Win the Solvit Deluxe Telescoping Pet Ramp! To enter, just fill in the giveaway form below. 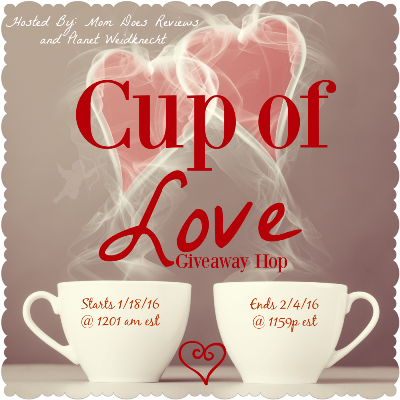 Giveaway is open to US residents ages 18 and up. Giveaway ends on 2/5/2016. Good luck!